Having power cuts due to rains?here we have a solutions for it please get in touch with us for EXIDE Batteries UPS & INVERTERS. Exide tall tubular batteries - 150 ah capacity - invamaster10000 and IT500 . High performance batteries for inverters. Available at Exide power centre , SR Nagar, Hyderabad. 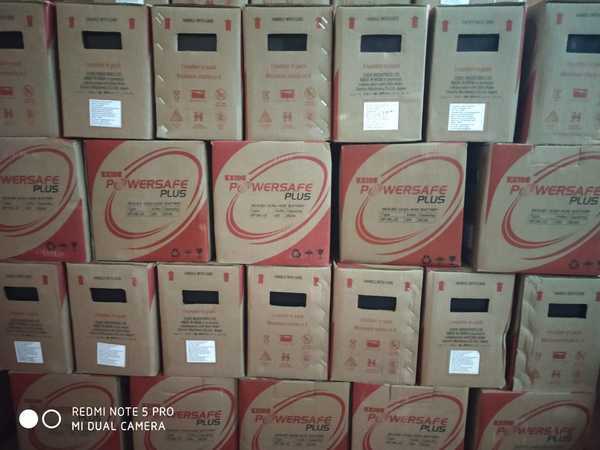 Best suitable ups batteries 'Exide power safe' batteries. EP series ranging from 7 ah to 200 ah batteries.